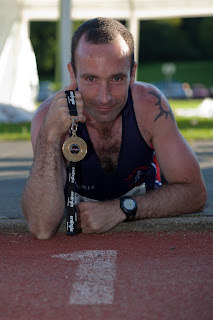 Le Cheile athlete and coach John O'Regan was crowned Irish Champion after winning the Energia Belfast 24 hour race last Saturday 23rd July. John set a new track record running a staggering 132 miles during the 24 hour period. Congratulations from all at Le Cheile on this tremenduous achievement, as always you do Le Cheile proud. Read more about this in the BBC website Sports section. 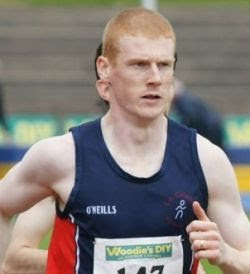 Le Cheile athlete David McCarthy achieved a new PB for 800m in Lignano Italy on Tuesday night, 20th July, 2011. David finished 5th in a time of 1.46.62 knocking .2 seconds off his previous best. Conor Murphy, Sean Flanagan and Conall Hayes were all in action at the Juvenile All Ireland Track & Field Championships in Tullamore on 10th July, 2011. Sean and Conor finshed out of the medals on this occasion but did Le Cheile proud in qualifying out of Leinster. 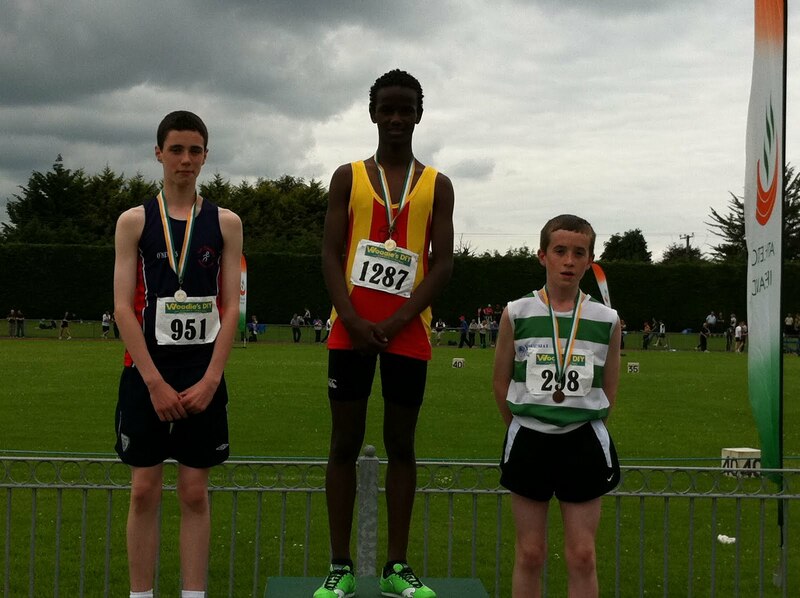 Huge congratulations go to Conall who ran the race of his life to finish second and claim All Ireland Silver in the boys under 14 800m final. This was an incredible achievement for Conall and for Le Cheile. Training will finish on Tuesday July 19th and resume on Tuesday 16th August. Enjoy the summer and remember --- Keep Running! 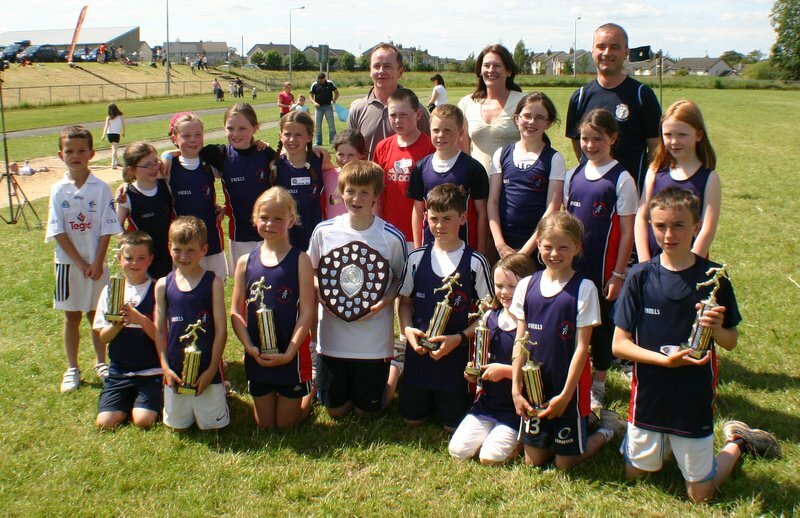 In bright sunshine the final round of the League took place in Newbridge, over 20 athletes were in attendance and were supported by their parents and coaches. We went into the last round in the lead with 1160points nearly 100 clear of Northwest Kildare. The sprints were the first races of the day and the atheltes continued earning maximun points with fantastic wins across all ages. For some it was their debut race and a few nerves kicked it. The athletes were very excited and cheered each other on throughout the day and when the last race was over they wondered if they were still in the lead and would they win! Le Chéile were announced as the winners of C division to the delight of the atheltes, parents and coaches. With the honor of collecing the shield going to Conor Kiely who was the eldest competing athlete. Conor lifted the shield to the applause of his fellow club mates. Well done to all athletes who competed in the league and represented Le Chéile with pride, the Shield will in on display in the club house from Tuesday. 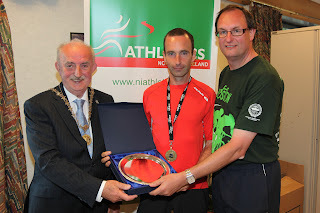 Many thanks to Willie Murphy for his fantastic photos which can be seen here http://www.lecheile5k.milanet.biz/ (click on gallery and view the track & field league). A big thank you to the parents for their continued support and many thanks to the coaches. Next competition All-Ireland championships this coming weekend - in action Conall Hayes, Sean Flanagan and Conor Murphy.